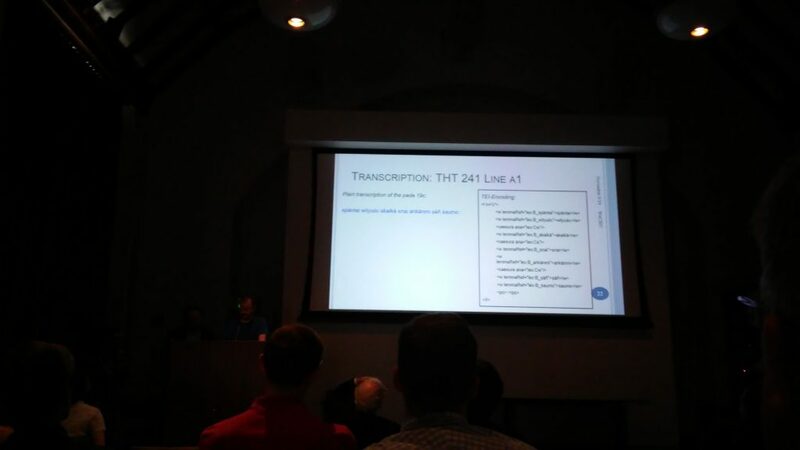 A transcription was shown on the screen. Linguistic features were explained on this slide. Phonology was discussed with this picture. A chart with Sruti tones. Attendees of the conference listened as a speaker presented. 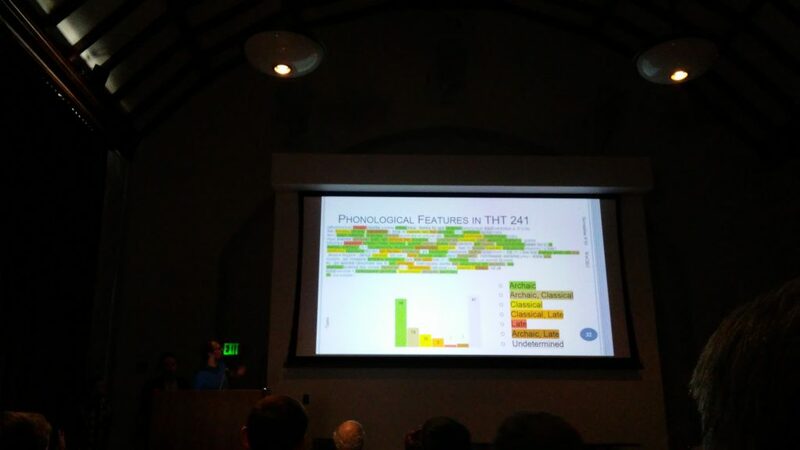 UCLA hosted its annual PIE, or Proto-Indo-European linguistics conference from Friday, November 9 to Saturday, November 10. 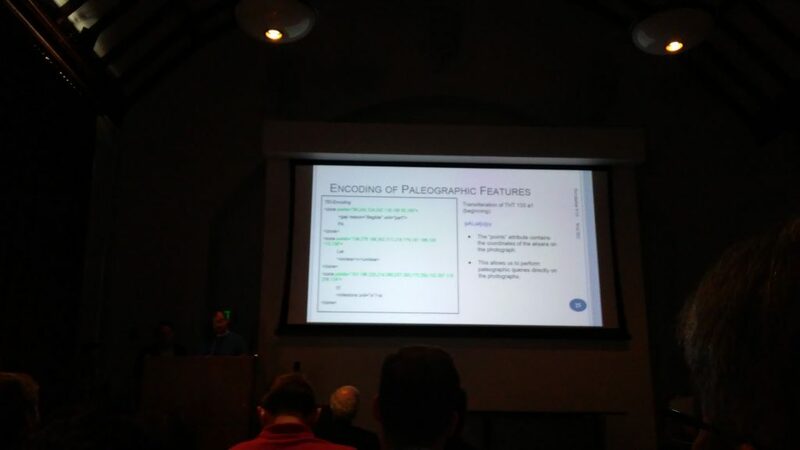 I attended the conference on the 10th, and I found all of the presentations thoroughly engaging. I had time to stay for three and a half of them, and they all featured wonderful topics presented by knowledgeable linguists. The first full one I saw was about Tocharian A & B. 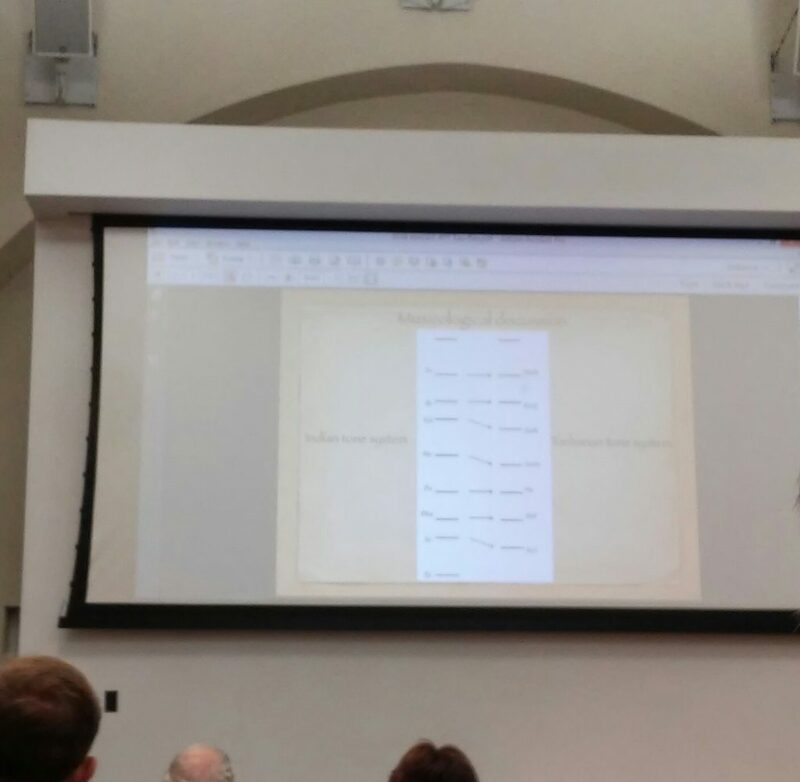 The speaker, Tao Pan, made a comparison using diagrams to show how Tocharian was different from Sruti tones, which are found in classic Indian music. That was just one part of his presentation. Ronald Kim spoke about Old Armenian. He focused on the aorist and imperfect (both of these are verb tenses,) as well as some phonology. 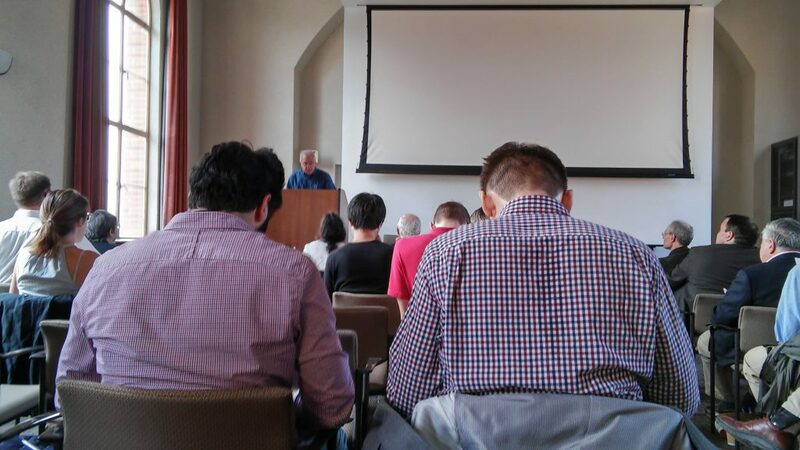 “With Old Armenian, or any Indo-European language really, you have to cater to your audience, especially with [Old] Armenian, because I think a lot of people here didn’t know much about it,” Ronald noted. Jay Jasanoff, the featured speaker of the day, gave his presentation on word equations. 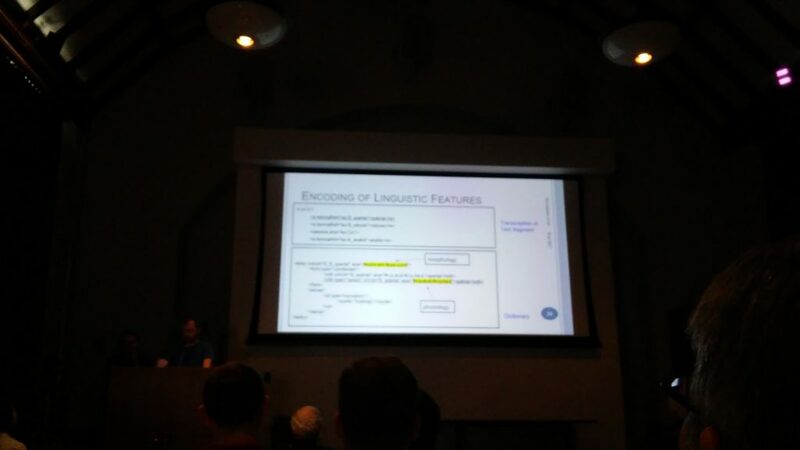 Brent Vine, the person who introduced Jasanoff to the attendees of the conference, said, “This linguistics is not for the faint of heart.” Many in the room laughed (myself included,) but I was not expecting word equations to be as detailed as they are. But that is what made them so fun. After he was finished, Jasanoff and Kim got into a hilarious yet captivating debate about Hittite verbs. If you are interested in linguistics, I highly recommend attending this event. The speakers and audience members all come together for something they are incredibly passionate about, which is one of the main things that made this conference quite enjoyable. Is English a tonal language?